Here's a great research update on acne and acid peels. These are the results from the first comparative study between AHA & BHA skin peels and their effects on acne. Chemical peels using either alpha-hydroxy acid or beta-hydroxy acid are both highly effective in treating mild to moderately severe facial acne, researchers at the Saint Louis University School of Medicine have found - the first study to compare the two different types of acid peels as therapies for the skin disorder. "This is good news for the millions of Americans who suffer from mild to moderately severe facial acne," said Dee Anna Glaser, M.D., vice chair and professor of dermatology at the Saint Louis University School of Medicine. "This provides more options for patients and doctors to chose from when it comes to tailoring a treatment program for each individual." Both types of acid are derived from organic compounds. AHA has the same active ingredient that's found in sugar cane juice, sour milk and tomato juice, while BHA is derived from salicin, which is closely related to the active ingredient in aspirin. A month later, at the second post-treatment visit, 81 percent of the sides of the face treated with beta-hydroxy acid still showed good or fair improvement in acne lesions, compared with 75 percent of the sides of the face treated with alpha-hydroxy acid. However, the sides of the face treated with alpha-hydroxy acid had developed a few new lesions - though this was judged not to be significant. 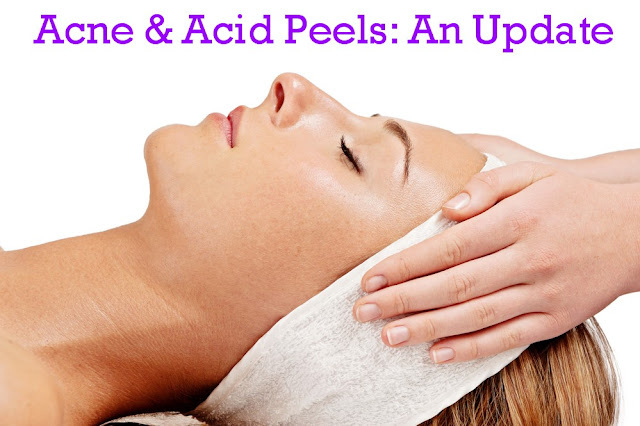 In general, both types of acid peels yielded the same side effects, which typically decreased over the course of the treatments. The most common of these included redness, peeling and scaling - though with alpha-hydroxy acid, the degree of the peeling and scaling was judged to be greater.